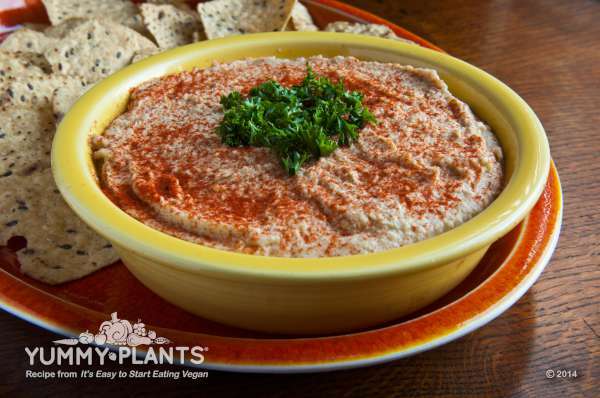 Hummus is a delicious plant-based protein source. It’s fast, easy, and can stay in the fridge for a week. 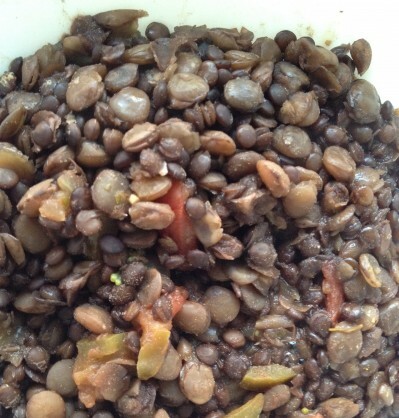 This recipe has 36 grams of protein from the garbanzo beans (18g per can). Reprinted with permission from It’s Easy to Start Eating Vegan by Rebecca Gilbert. 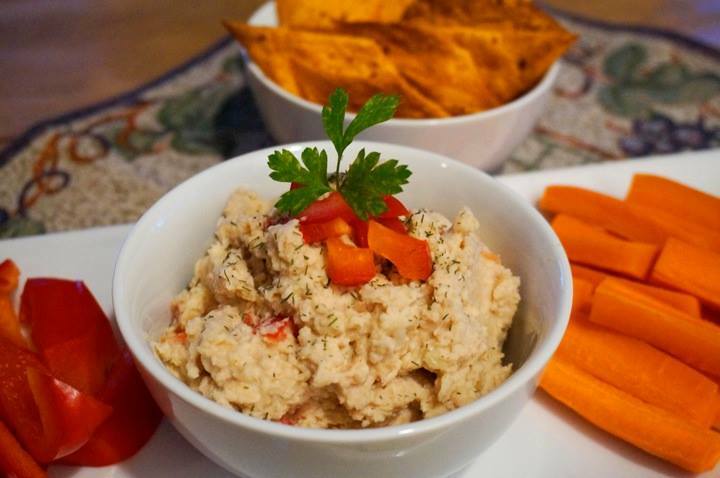 Thanks so much to Robin Robertson for sharing this quick and easy vegan recipe with the Yummy Plants community! 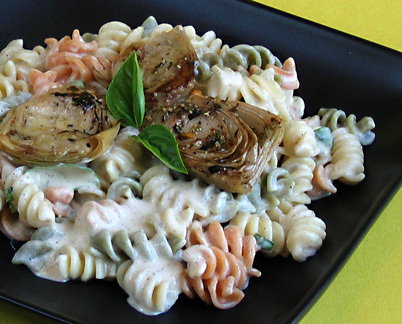 We love the creamy decadence of her vegan alfredo sauce! Note: use rice or quinoa pasta to make this a wheat-free dish. 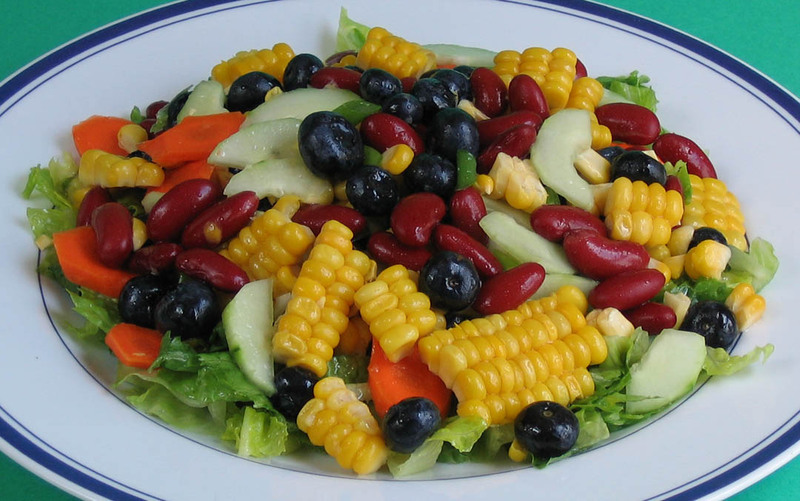 We love this exotic salad from from Robin Robertson! Robin has worked with food for more than twenty-five years as a restaurant chef, cooking teacher, and food writer. Thanks so much, Robin, for sharing this quick, easy, and delicious recipe with the Yummy Plants community! We love this quick and easy vegan meal from Ellen Jaffe Jones, author of Eat Vegan on $4 a Day. For those of us watching our budgets, Ellen shows us how to create meals that are absolutely delicious and affordable. 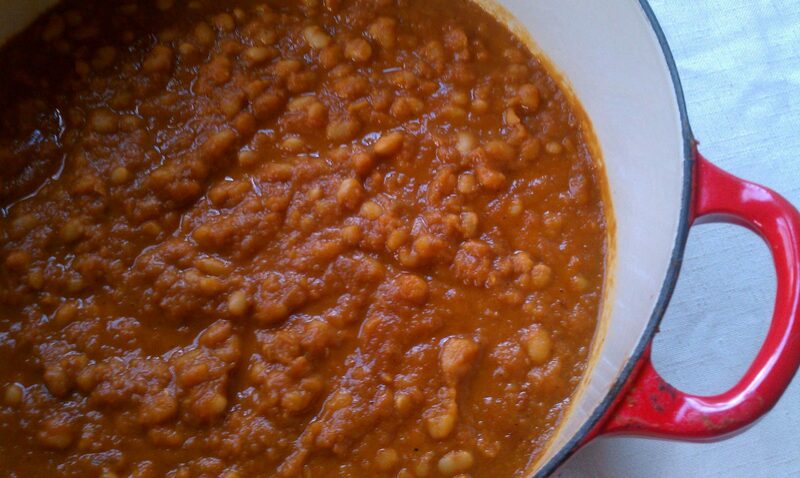 A huge thank you to Elizabeth Schandelmeier Gilgunn from Slow Cooked Pittsburgh for sharing her vegan baked beans recipe with us! Just in time for St. Patrick’s Day! !